New: The Supernatural History Series! The most charming stories ever written of American country life. Laura Elizabeth Howe Richards was born in Boston in 1850. She wrote more than 90 books in her lifetime. These new pocket paperback editions have been adapted from various print versions in the public domain, and edited to more closely conform to modern American spelling and punctuation. Their layout and type have been designed for ease of reading for children and adults alike. 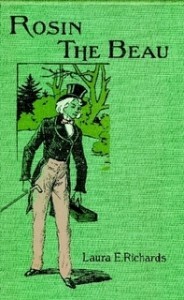 The cover art is adapted from images of the original cloth-bound books. Mrs. Richards has made for herself a little niche apart in the literary world, from her delicate treatment of New England village life. Originally published in 1885, The Joyous Story of Toto is a charming childrens’ book about a young boy who brings his forest animal friends home to his grandmother to keep her company and tell their fanciful tales by the fire. With illustrations by Edmund H. Garrett. …one of those happy inspirations which delight all readers both old and young, and makes its author famous. —The Book Buyer, 1886. Originally published in 1900, Snow-White, or The House in the Wood, is the story of a six-year-old girl with an imagination fueled by fairy tales. Lightly edited for content. The many thousands who have read and admired that charming idyl of New England coast life, Captain January, will gladly welcome another story from the pen of its gifted author. —The Dial. Originally published in 1895, Nautilus is one of Laura E. Richards’s most beloved stories. 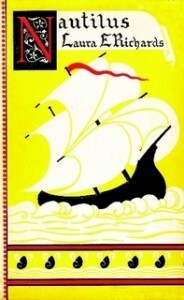 This edition, with illustrations by W.L. Taylor, has been designed for readability for children and adults alike. Nautilus is by far the best product of the author’s powers, and is certain to achieve the wide success it so richly merits. Without exaggeration it is to be pronounced a literary gem. —The Boston Courier. Jacques De Arthenay, known as Rosin the Beau, recollects coming of age in mid-19th-century Maine, and a trip to his ancestral homeland in the south of France, in a memoir to his young friend Melody. Jacques moves between rural America and his life as a shoemaker and fiddle player, and the pastoral ease of aristocratic Europe, finding his way through love and loss on his path to becoming a true gentleman. Rosin the Beau is a sequel to Marie, and a prequel to Melody. Originally published in 1895, Laura E. Richards’ funny, charming short stories “Jim of Hellas, or In Durance Vile” and “The Troubling of Bethesda Pool” are rarely found in print. 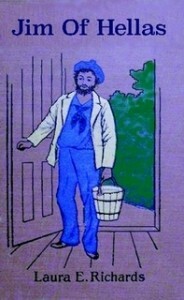 In “Jim of Hellas,” an island town of eccentric old sea captains meets a charismatic Greek sailor. “Bethesda Pool” is a taciturn and solitary innkeeper who makes a grand gesture to help a young acquaintance. The stories in this volume are just as exquisitely picturesque as the others. —Minneapolis Journal. 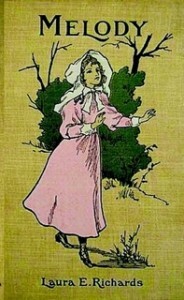 Originally published in 1894 and rarely found in print, Marie is a prequel to the other books and stories in the “Melody” series By Laura E. Richards. Most versions of Marie that can be found online are incomplete. This edition was carefully compiled and adapted from various print versions. Seldom has Mrs. Richards drawn a more irresistible picture, or framed one with more artistic literary adjustment. —The Boston Herald. Melody is the sweet tale of a 12-year-old blind girl, set in 19th-century New England. 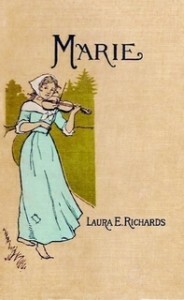 Originally published in 1893, it is the first of Laura E. Richards’ “Melody” series, the rest of which are Marie (1894), “Bethesda Pool” (1895), and Rosin the Beau (1898). Illustrations by Frank T. Merrill. The quaintly pretty, touching, old-fashioned story is told with perfect grace; the few persons who belong to it are touched in with distinctness and with sympathy.